Congressional Democrats, including three from Nevada, have come out against a plan to more than double the entrance fees at some of the nation’s busiest and most iconic national parks. 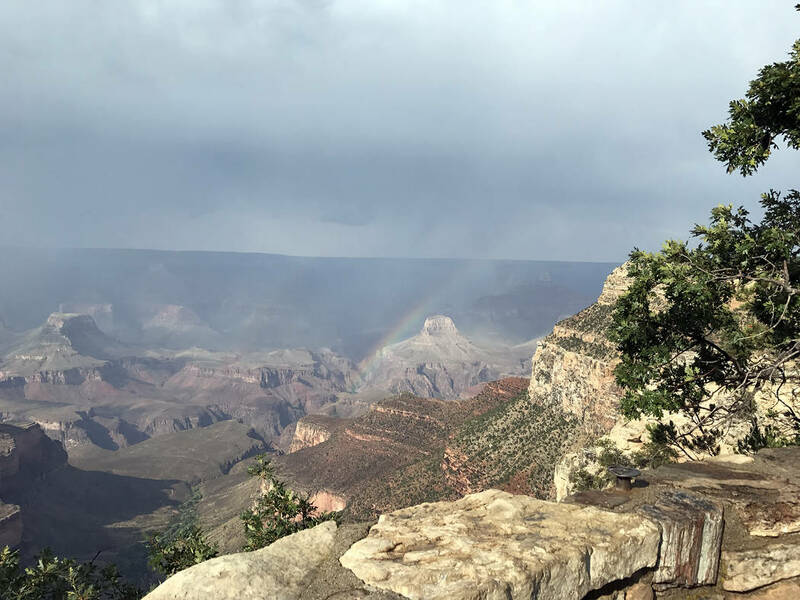 Hali Bernstein Saylor/Boulder City Review The Grand Canyon in Arizona is one of 17 National Parks targeted for a new peak-pricing program that would more than double the entrance fee. In a letter sent Nov. 1 to Interior Secretary Ryan Zinke, 90 House members called on the Trump administration to work with Congress to fully fund the National Park Service rather than jack up fees at select parks. The letter comes in response to a park service plan unveiled last month to boost revenue next year with peak-season pricing at 17 parks. During the busiest five months at those parks, entrance fees would more than double to $70 per vehicle, $50 per motorcycle and $30 per person. The House Democrats called the proposal “misguided,” saying it would hurt local economies near the parks and prevent low-income families from seeing some of the nation’s most treasured places. “Public lands belong to all Americans, not just wealthy families who can absorb the steep fee increases,” the letter said. Reps. Ruben Kihuen, Jacky Rosen and Dina Titus, all D-Nev., signed the message to Zinke. No Republicans signed the letter. If it is finalized, the peak-season increase is expected to boost entrance fee revenues by about 34 percent, from just under $200 million in fiscal year 2016 to more than $268 million. The park service is also proposing entrance and permit fee increases for commercial tour operators. The 17 parks were chosen because they are the top revenue earners for the service, accounting for 70 percent of all entrance fees collected nationwide. The list includes several within a day’s drive of the Las Vegas area: Grand Canyon in Arizona; Joshua Tree, Sequoia-Kings Canyon and Yosemite in California; and Arches, Bryce Canyon, Canyonlands and Zion in Utah. No park service sites in Nevada would be affected. The price of annual passes and lifetime passes for seniors would remain at $80. The park service will accept public input on the plan through Nov. 23. Comments can be submitted online through the agency’s Planning, Environment and Public Comment website. Click on the “Document List” or “Open For Comment” project links on the left side navigation menu. Open the document and use the “Comment Now” button. Written comments can be mailed to National Park Service, Recreation Fee Program, 1849 C St. NW, Mail Stop 2346, Washington, DC 20240.